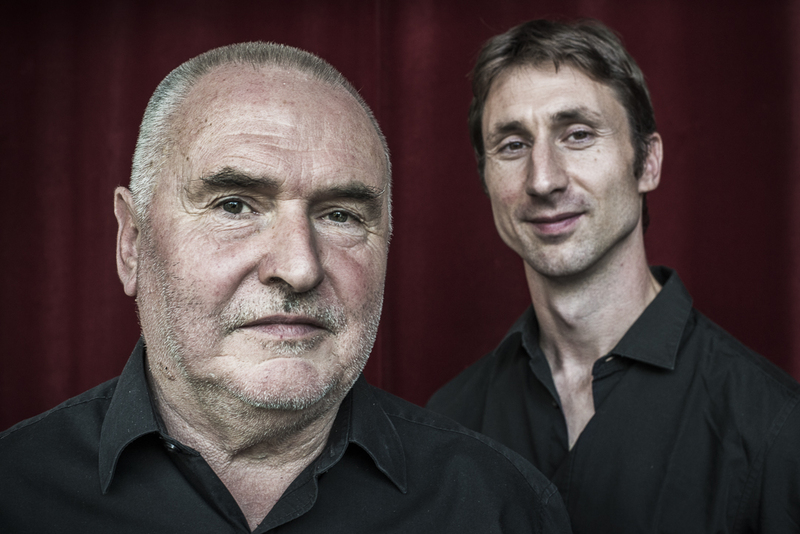 Invited to work together on a series of arts projects combining music with a sense of place last year, English singer and writer Jim Boyes and Belgian master guitarist and composer Maarten Decombel's collaboration has matured into a full scale musical partnership. Maarten's atmospheric accompaniments and feeling for the words are a perfect match fot Jim's songs - drawing out the subtlety and edge of their distinctive themes. Just about to make their debut on BBC with a song specially-commissioned for the Radio Ballads commemoration of the battle of Passchendaele and with dates already fixed for festivals in Flanders for summer 2018, Maarten and Jim are looking forward to a productive and busy year. Widely acknowledged as one of England’s finest harmony singers, Jim’s backstory includes founding membership of the ground-breaking trio, Swan Arcade, joint work with The Watersons in the folk supergroup Blue Murder, on-going musical collaborations with War Horse author, Michael Morpurgo, and writing and performance with Coope Boyes & Simpson, “quite simply the best purveyors of acappella song on this island”.